Say goodbye to embroidery floss and hello to cotton Petites! One strand of 12wt cotton Petites equals two strands of your typical embroidery floss! 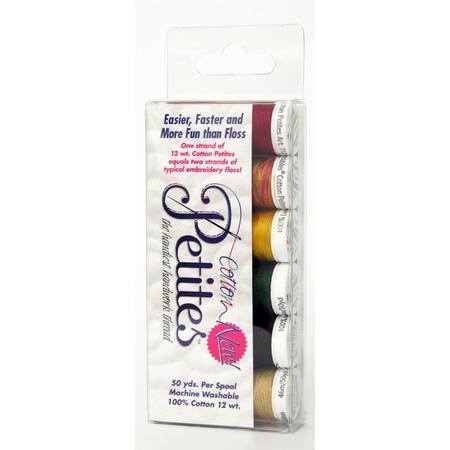 These Petites are the same great Sulky solid 12wt 100% cotton thread you love but now on a petite 50yd snap-end spool! 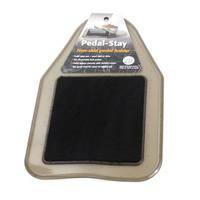 The Autumn Colors Collection is a 6 pack the following colors: Butterfly Gold-0567, Gold-1070, Dark Brown-1130, Bayberry Red-1169, Dark Pine Green-1174, and Autumn-4006.